New Delhi, March 27 (IANS) India on Wednesday became "a space superpower" as its anti-satellite missile A-SAT successfully targeted a live satellite on a low earth orbit in just three minutes, Prime Minister Narendra Modi announced on Wednesday. "A while ago, India achieved a historic feat. It has entered its name as a space superpower. 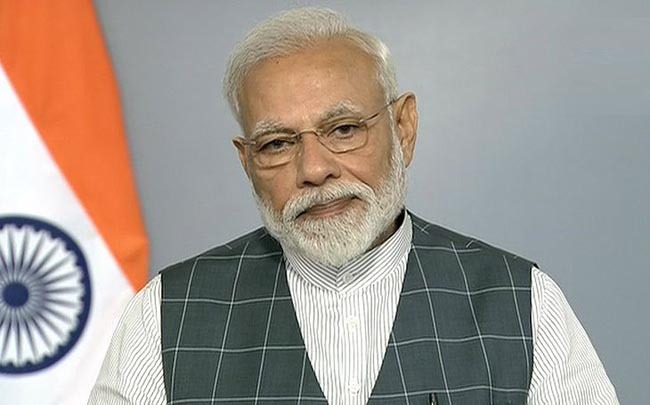 An Anti-Satellite A-SAT missile successfully targeted a live satellite in space 300 km away in a low earth orbit," the Prime Minister said in a nationally televised speech. Till now, only the US, Russia and China had this capability, he said. "India is the fourth country to achieve this feat." The Prime Minister said "Mission Shakti" was "a highly complex" operation, conducted at extremely high speed with remarkable precision. "It shows the remarkable dexterity of India's outstanding scientists and the success of our space programme." The mission was an important step in securing India's safety, economic growth and technological advancement, he added. The Prime Minister, however, did not reveal which low earth orbiting satellite was hit. The A-SAT missile will give new strength to India's space programme, the Prime Minister said. "I assure the international community that our capability won't be used against anyone but is purely India's defence initiative for its security. We are against a arms race in space. This test won't breach any international law or treaties." Congratulating scientists at the Defence Research and Development Organisation (DRDO) for achieving this "unparalleled feat", Modi said the entire effort was indigenous. "In the journey of every nation there are moments that bring utmost pride and have a historic impact on generations to come. One such moment is today. "India has successfully tested the Anti-Satellite (A-SAT) Missile. Congratulations to everyone on the success of Mission Shakti," Modi said. "Our aim is to maintain peace and not develop a war-like situation."